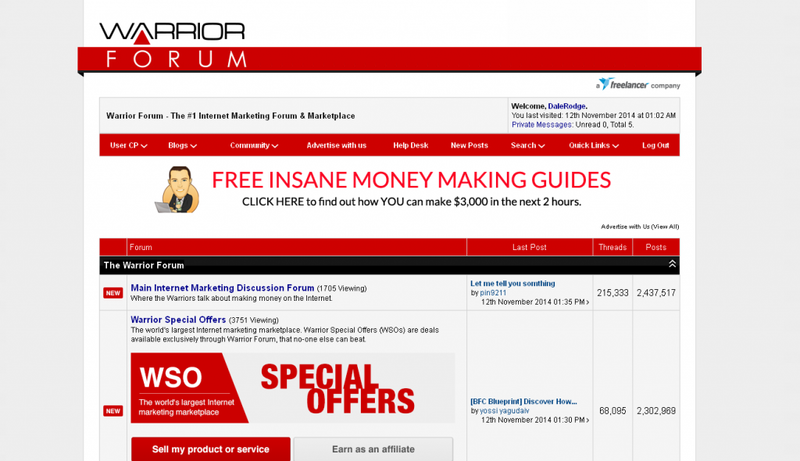 In this post I’m going to be telling you exactly how I managed to make $557 of residual monthly income from Warrior Forum & how I’m going to do it again, again & again. So some of you guys may have seen the banner that I was recently running at the top of the Warrior Forum. It was pretty much a no frills banner, just straight the point – as you can see from the image below. But, it drove a whole load of traffic – because who doesn’t want to make money? (admittedly, it didn’t drive as much traffic I was expecting – but still enough to do the job). 205 visitors for $100, which works out at just under $0.50 per click. I was promoting the new iPAS2 offer on my website, which obviously is a system that makes people money. Now I know the iPAS2 has a whole load of upsells, like pay $100, $500 and even $3,000 to get a higher membership & earn more commissions, but I haven’t bothered with that and I’m still sat on the $47/month base level which allows you to earn around $23.50/month per referral, or $41/month for those who then also go on to join Empower. 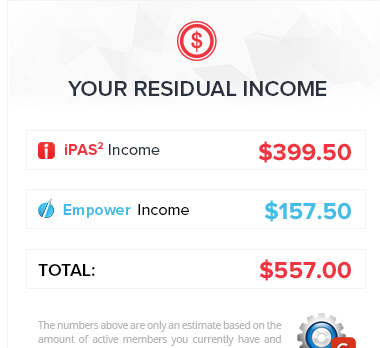 So for each person that signs up to iPAS2 via your link, you basically get a minimum of $23.50 residual monthly income, and potentially $41/month, with residual being the important part here. So for as long as they keep using the service, you keep earning. With that in mind, that means out of a $100 even if you only received 4 signups totaling ~$100, you’ve still made money because that’s going to renew the following month & give you another ~$100. Thankfully the Warrior Forum provided me with not just 4, but 205 people who all wanted to make money. From the 205, quite a large handful went on to subscribe to my blog, so potentially there could be more sales out of this budget yet but who knows – I’m only going off the ones that have already signed up & sealed the deal. I received 17 signups to the iPAS2 system itself, which equates to $399.50 of monthly residual income, I’ll keep getting paid that as long as they remain subscribed (which they will, because once you’ve seen that backend there’s no chance you’re going to unsubscribe). Out of those 17 people, 9 of those then also went on to sign up with Empower in order to double their commissions, which then earned me $157.50, again this is more residual income. From a $100 spend on a Warrior Forum banner, a $47 spend on iPAS2 & a $45 spend on Empower I generated $557 of monthly residual income. This means that come next month, even without doing any advertising whatsoever I’m going to earn $465. But me & you both know I’m going to earn a lot more than that, because I’m going to do the exact same thing again & keep building & building on my residual income until I’ve hit at least 10k per month.